This is a large yard with a fully tiled swimming pool with frameless glass pool fence. 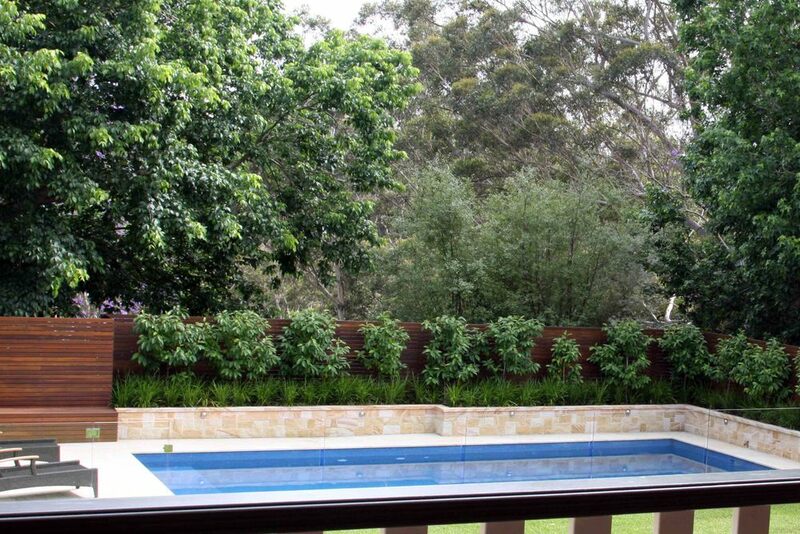 Pool deck is sandstone with a timber privacy screen highlighting the green in the plants. The earth was a dense clay, we imported truck loads of new material to build our new landscape. 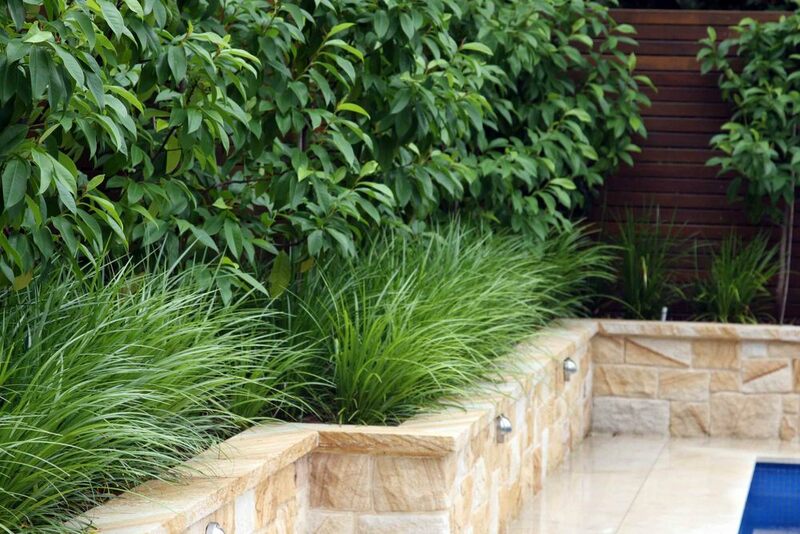 Our landscape is edged with reinforced concrete block walls cladded and capped with sandstone. All boundary planting to provide height and privacy. A lush green oversized lawn with spring free trampoline cap off a wonderful entertainment area for family and friends.